The holiday season is filled with tradition and I hope you enjoyed your holiday traditions with family and friends. It is enjoyable for me to be able to pass along those beliefs, customs and information to other generations during the holiday season. As I was driving from one family gathering to another I had time, waiting in traffic, to reflect on transportation infrastructure traditions. Traditions, customs, and practices that we have become accustomed to are about to change. As a professional in the industry, we are about to enter uncharted territory and these are very exciting times. OK, I guess I am being a little melodramatic, but take time to understand what is happening in the transportation industry as a whole. Overall, there were an estimated 255.8 million registered passenger vehicles in the United States in 2013. This number, along with the average age of vehicles, has increased steadily since 1960, indicating a growing number of vehicles per capita. Although vehicle registrations have slipped over the past few years, the newest generation (millennials) are driving more than baby boomers. The Federal Highway Administration (FHWA) reported an increase in vehicle-miles traveled (VMT) in 2016 when compared to 2015. The increase of traffic and cars on the road will continue to tax our transportation infrastructure. We all understand why we have experienced the declining revenue stream (gasoline tax) for transportation infrastructure improvements and, based on projections, this will not change in the future. Cars are getting more miles per gallon and hybrid and alternative fuel vehicle sales are on the rise. In summary, funding, as it is collected today is decreasing while needs are increasing. While the transportation industry researched ways to accommodate the increased traffic that comes with an increased number of VMTs, focusing on improving the quality of life and driver experience by reducing congestion, improving air quality and safety as an industry, it’s being realized that traditions must change. We have found that by integrating the use of technology into our transportation network, we can positively affect the operation and safety of the network. However, as with all systems, the integration of something new changes other elements of the system. We now realize, from a traffic analysis and engineering point of view that we are about to flip tradition on its head. 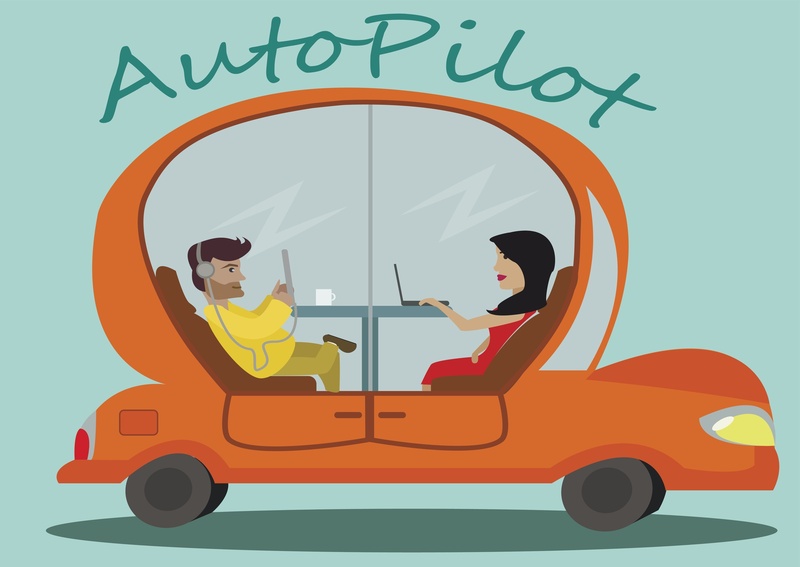 The introduction of a driverless car is at the helm and leading changes in the transportation industry. 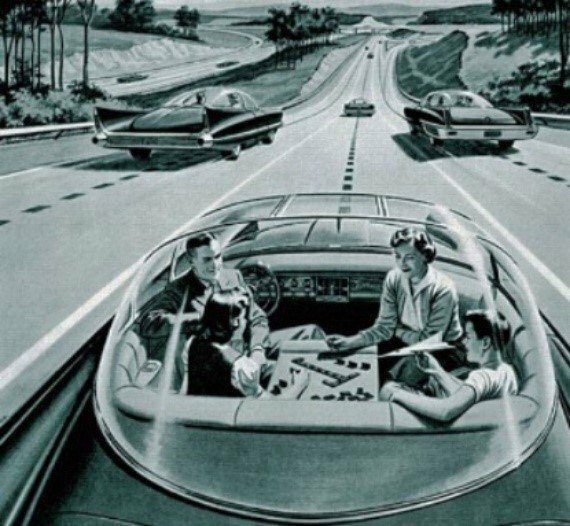 At its ‘Futurama’ exhibit at the 1939 New York World’s Fair, General Motors gave the public their first peek at the possibilities of self-driving cars. Visitors were seated in rows above a three-dimensional display showing a futuristic city center with a traffic flow of radio controlled electric automobiles. The ‘dedicated’ roads, with integrated electric cables, provided an electromagnetic field that transmitted the power to propel the cars. While technology today is a little different from what was presented in 1939, we are utilizing similar theories. Dedicated Short Range Communications (DSRC) is a two-way short-to-medium-range wireless communications capability that permits very high data transmission that is critical in communications-based active safety applications. The Federal Communications Commission (FCC) allocated 75 MHz of spectrum in the 5.9 GHz band for use by Intelligent Transportations Systems (ITS) vehicle safety and mobility applications. DSRC-based communications are a major research priority of the Joint Program Office (ITS JPO) at the U.S. Department of Transportation (U.S. DOT) Research and Innovative Technology Administration (RITA). The cross-modal program is conducting research using DSRC and other wireless communications technologies to ensure safe, interoperable connectivity to help prevent vehicular crashes of all types and to enhance mobility and environmental benefits across all transportation system modes. The U.S. DOT’s commitment to DSRC for active safety communications contributes to safer driving. Vehicle safety applications that use vehicle-to-vehicle (V2V) and vehicle-to-infrastructure (V2I) communications need secure, wireless interface dependability in extreme weather conditions, and short time delays; all of which are facilitated by DSRC. In Ohio, capacity improvement projects such as “add a lane” are a thing of the past. The interstate system is built-out, bounded by limited funds and the availability of right of way. The Ohio Department of Transportation, in conjunction with several other stakeholders, are about to embark on a pilot project utilizing this technology. Vehicles are being produced with DSRC capabilities and, in short, will be able to communicate with each other through ITS vehicle safety and mobility applications. This is a game changer for the traffic analysis junkie. Just think about the integration of low latency, active safety applications, transmitting messages via V2V or V2I in milliseconds, without delay, allowing for each vehicle to adjust speed and direction accordingly. Information will be delivered through fiber connections that access the high speed broadband network. Today, human reaction time is the main cause of accidents and delays on our roads not to mention its effect on capacity analysis, and will ultimately be eliminated from the equation. The traffic design manual will have to be rewritten and new traditions, customs and theories will be developed. Autonomous-driving automobiles (ADAs) are not just around the corner – they are here much to the delight of aging baby boomers, who will never be immobile, and younger generations, who will be able to play computer games and text message all while being driven automatically. We, as transportation engineering professionals, will have a front row seat in the evolution of this technology. Some will have instrumental roles in the adaptation/development of this new technology; all will be affected, both professionally and personally. New vehicle technologies developed in the 20th century—from seat belts to air bags to child seats—were once controversial. But after having saved hundreds of thousands of American lives, they are now considered indispensable. 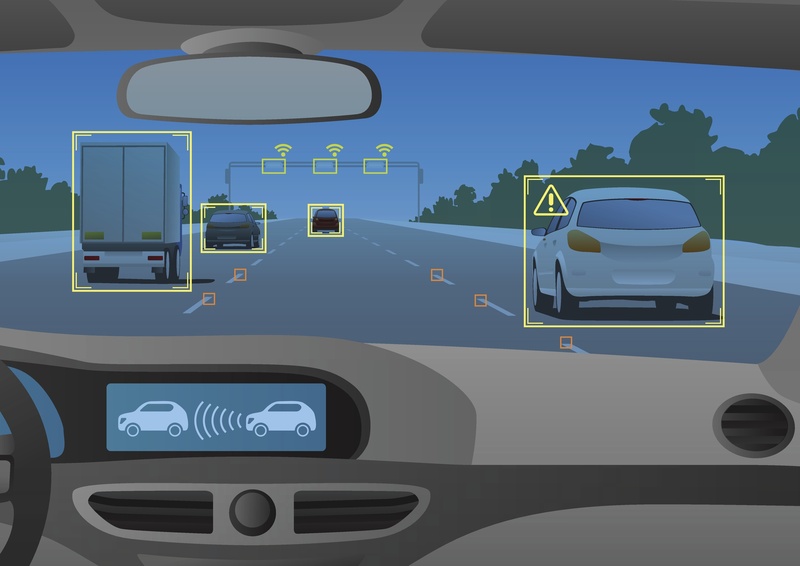 Advanced technologies developed in the first part of the 21st century—like automatic emergency braking and lane departure warnings—are already making U.S. roads safer. How many more lives might be saved in the future with highly automated vehicles? Shouldn’t we as an industry be committed to finding out? I am excited for the possibilities, intrigued by the technology and hopeful that this new direction in safely transporting people, services, and goods will help us have a positive impact on our projects and ultimately the communities we serve.